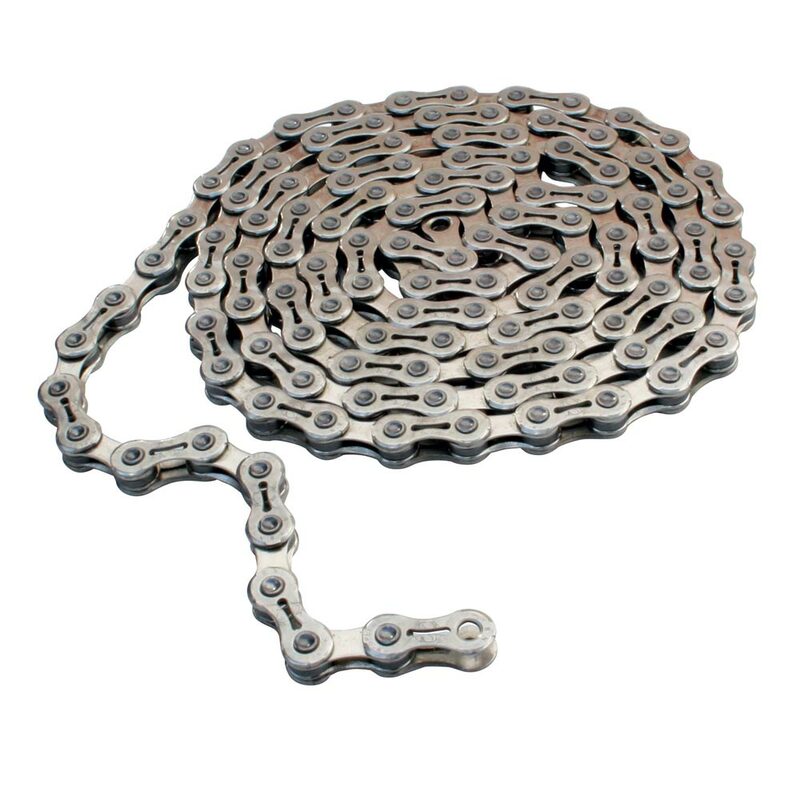 Gusset have decided to add a range of good value, functional and reliable chains to the range. Riders and dealers know and trust Gusset for providing great quality products at good prices. Riders can now use Gusset chains for their regular derailleur gear shifting bikes too. 9 speed Gear Shift chain. Suitable for performance MTB and Road use. Outer plate chamfer for fast shifting. Laser cut SL slotted outer plates. Power riveted pins for secure strength. Super hard Chromium Carbide coated pins. Quick Link re-usable joining link for easy maintenance.